Registration will be available at the event. Our April event (note that it is scheduled for Wednesday, not Thursday) is a collaboration with the Minnesota's Product Development Managers Association chapter (PDMA) designed to highlight the recent crossover in disciplines. In recent years there has been recognition of the importance of user experience in the product development process. Often, job descriptions for user experience roles include elements that are very similar to those for product managers—understand customer needs, conduct research activities, define requirements—and this can lead to confusion and conflict between product management and user experience. In this presentation, we will discuss how product management and user experience differ and how they need to collaborate effectively throughout the innovation and product development process. Jeff Lash is a recognized thought leader in product management, with over a decade of experience in the development of Web-based products and SaaS. His product management career includes both new product introductions and major turnarounds of existing product lines, as well as introduction of the product management role into organizations. He has significant expertise in customer understanding, new product innovation, agile product management, user experience design, and product development processes. As the Service Director of the Product Management advisory service at SiriusDecisions, Jeff conducts research and advises product management teams within B2B companies on how to improve their performance and effectiveness and accelerate growth. In addition to contributing to the SiriusDecisions blog, Jeff writes the popular How To Be a Good Product Manager blog and is on Twitter as @jefflash. 6:15 p.m.– 7:30 p.m. "Sorting Out Product Management and User Experience"
Driving Directions and Campus Map care of Normandale.edu. 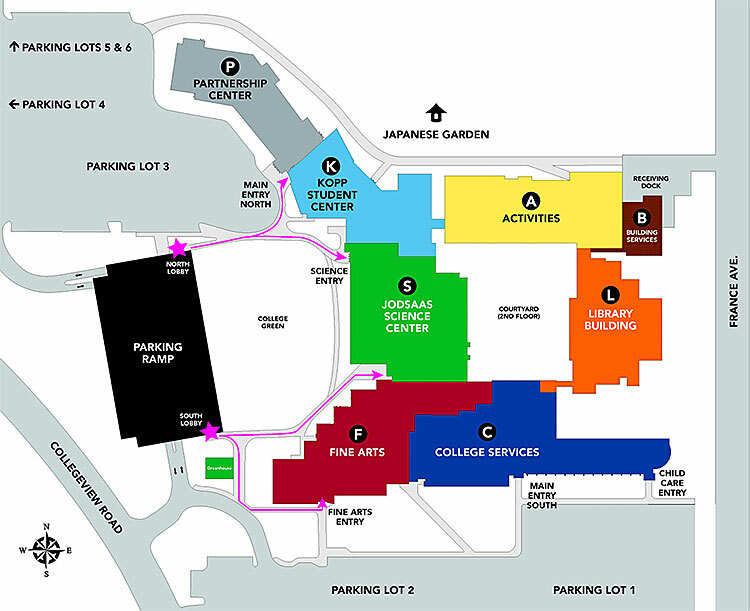 Please note that the Partnership Center is on the northwest part of the campus, and the closest parking lots to it are #3 and #4. This event is sponsored by Valere.